The holiday season is just around the corner and with it comes the 3 F’s: Family, Food and Festivities. In busy times like this, easy and chic hairstyles come in handy. 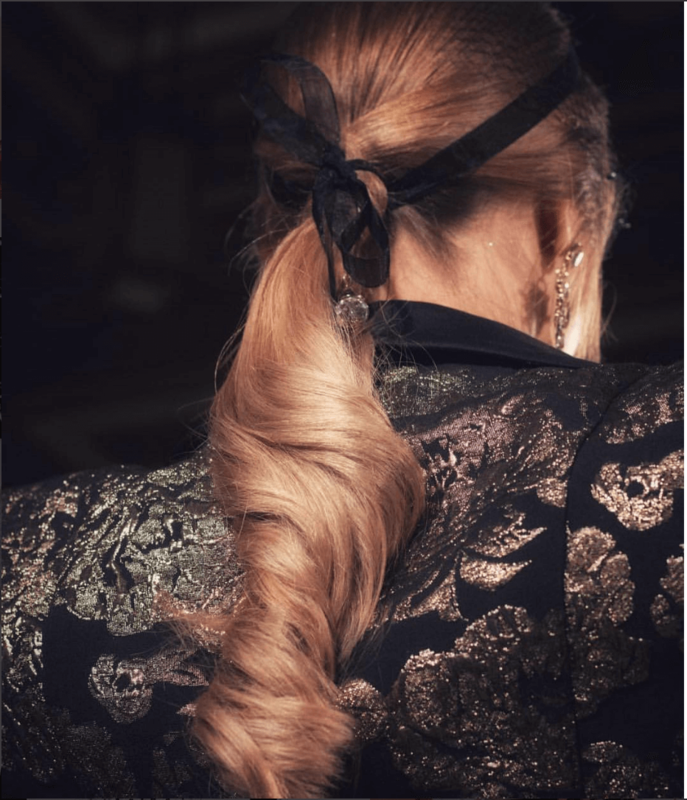 In this week’s blog post, Fabio Scalia explains how to get the perfect ponytail for the holidays. You might think that nailing a ponytail is easy but depending on how you do it, the results can vary a lot. The placement of the ponytail is a game changer for the outcome. Some people tend to love it high, others low and so on. According to Fabio, the first step is to determine the current state of your hair. Is it too soft? Does it need more texture? Or volume? “If you want your look to be sleek, I recommend blow drying your hair in the direction as you want it. Sometimes our roots can be our worst enemy so to master this style, you might have to begin when the hair is wet.” One common mistake lots of people are guilty of is putting too much hairspray. Try sticking to only use it to set your finished look. If you want your finish to be more “imperfect” you could add a dry texturizing spray and go in with your fingers to make it more “fuzzy.” You want to be able to master a ponytail. It is a chic, comfortable and perfect for a holiday party with family and friends.